Directly before Colbert’s first show, Trump also released an attack ad against Bush, saying Bush was so ‘low-energy’ that the candidate literally could be used as a sleep aid. ‘Jeb: For all your sleeping needs,’ the ad stated. On Colbert, the comedian pointed to his own brother sitting in the ‘Late Show’ audience, before asking Jeb Bush about his brother George. Bush responded cheekily at first, saying he was younger and much better looking, but when Colbert asked him about policy Bush got specific. ‘I think my brother probably didn’t control the Republican Congress’ spending,’ Bush replied. ‘I think he should have brought the hammer down on the Republicans when they were spending too much because our brand is limited government,’ Bush said. He also criticized his brother for not using the veto and not using fiscal restraint. 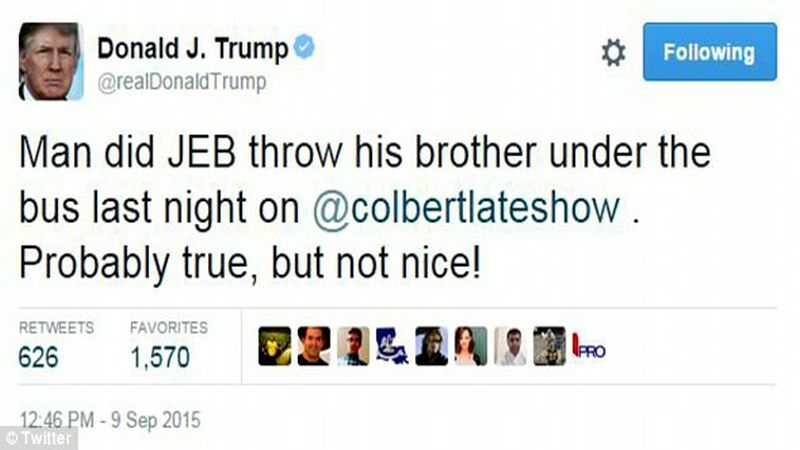 Well, Jeb is a joke, anyways, but throwing your own family under the bus is pretty pathetic. Jeb needs to take a hard look at what he is really doing here. 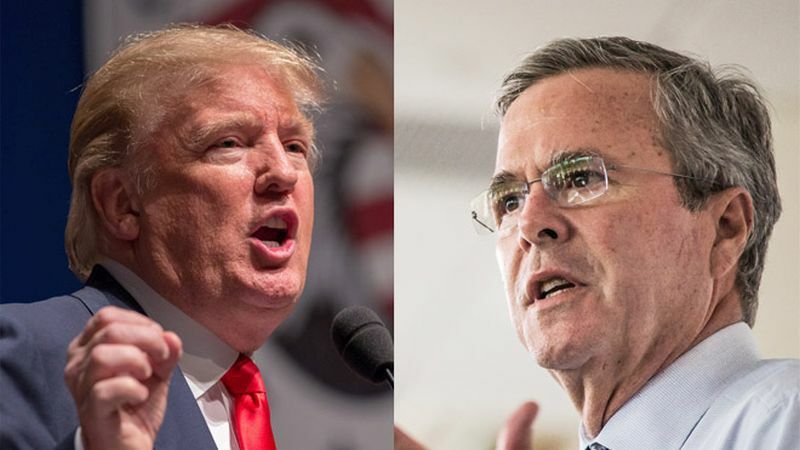 Any fun that Donald Trump may be poking at him is well deserved at this point, and the ad featuring Jeb? Perfect advice for those nights I’m plagued with insomnia. Thanks, Donald! Written by Katie McGuire. Send your hate mail to the author at [email protected], or feel free to mean tweet me at @GOPKatie, where I will be sure to do very little about it.